You can add this widget code inside any text/html block inside your blog. Now copy and paste the following code inside the HTML/JS widget. The code above contains a URL. 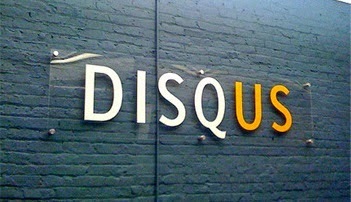 You need to change the text in bold with your own domain name (yourdomain.disqus.com). After the ? in the URL, you can see a bunch of parameters. These are used to customize the functionality of the widget. Here is a brief description for each of them. The thing with it is after implementing, my default blogger commenting box disappeared. Sir I add disqus comment box in my website www.downloadism.com but it is not showing fully, will you please tell me how i can cure this problem. This is a next great help from MBT. Amazing widget. I'm a blogger at Blogging Easier. I'm also having this type of widget on my blog in the sidebar. But the widget on my blog is inbuilt in the template. That's why I'm unable to edit it to make it look more attractive. I request the admin and other bloggers either connected to or following MBT to help me in editing my Discussions widget. You can see it live on my blog. (Blog link has been embedded above). brother thank you posting . This is interesting when applied on my blog . Thank you very much for this tip. It works very well in my blog.